One in eight school-age children had an identified mental disorder last year, the first new data on the subject in 14 years has revealed. The NHS has finally released long-awaited statistics from a major survey of the mental health of children and young people carried out in 2017. It is the first time since 2004 that such complete data has been published. The data shows that 12.8 per cent of five to 19-year-olds had at least one mental disorder when assessed in 2017, while 5 per cent met the criteria for two or more disorders when interviewed. It follows pledges by the government for more mental health support provision in schools. Ministers announced last year that they will spend around £300 million on new mental health leads in schools and support teams to link education and health services. However, health experts, MPs and headteachers have warned the funding settlement is too small to address the lack of support available to young people. It also follows warnings of a lack of up-to-date prevalence data. This week’s study was promised by former health minister Norman Lamb in 2015 and was supposed to be published last year. Schools Week revealed in June that the government planned to release the statistics in October, but it was delayed again and only published this week. The long-awaited data shows that emotional disorders were the most common disorder among school-age children, affecting 8.1 per cent. Emotional disorders include anxiety, depression, mania and bipolar affective disorder. 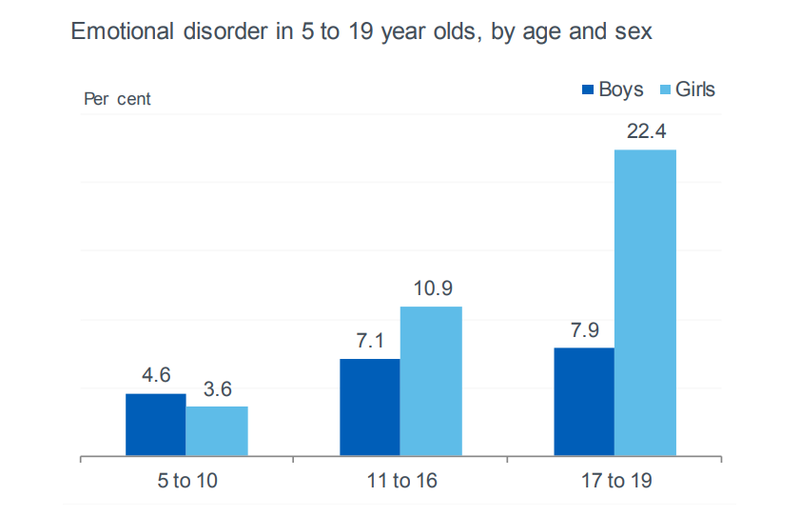 Meanwhile, 4.6 per cent of five to 19-year-olds had some kind of behaviour disorder, and 1.6 per cent had a hyperactivity disorder. Autism spectrum disorder was identified in 1.2 per cent of pupils, while 0.4 per cent had an eating disorder. The statistics also show a rise in the prevalence of mental health issues among children and young people over the past two decades. 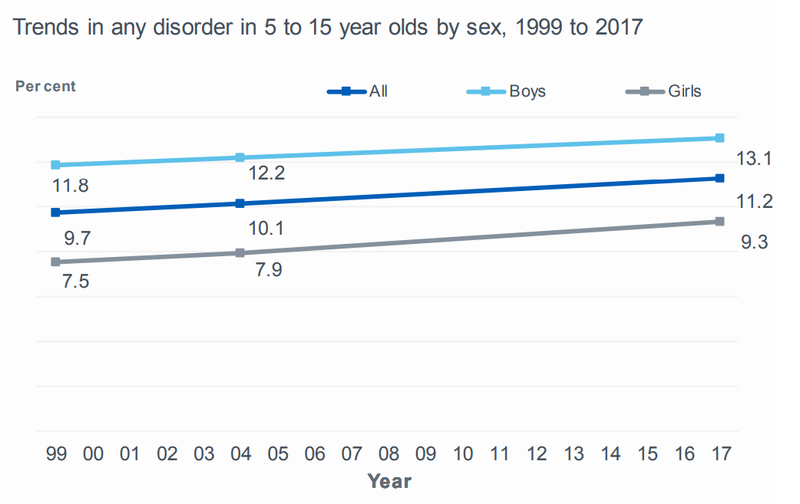 Among five to 15-year-olds, the age group covered in all studies since the late-1990s, the latest data shows that the proportion with some kind of mental disorder increased from 9.7 per cent in 1999 to 11.2 per cent in 2017, an increase of 15 per cent. The new data also found that young people aged 17 to 19 were three times more likely to have a mental disorder in 2017 than children aged two to four. However, different disorders were more prominent at different stages of childhood. Emotional disorders were much more prevalent among 17 to 19-year-olds, but behavioural and hyperactivity disorders were more common in those aged five to 16. Among primary school pupils, one in ten had some kind of disorder, while one in seven had one at secondary level. Although boys start out more likely to have an emotional disorder than girls, this changes when pupils reach secondary school age. Among 17 to 19-year-olds, girls were almost three times more likely to have an emotional disorder than boys. 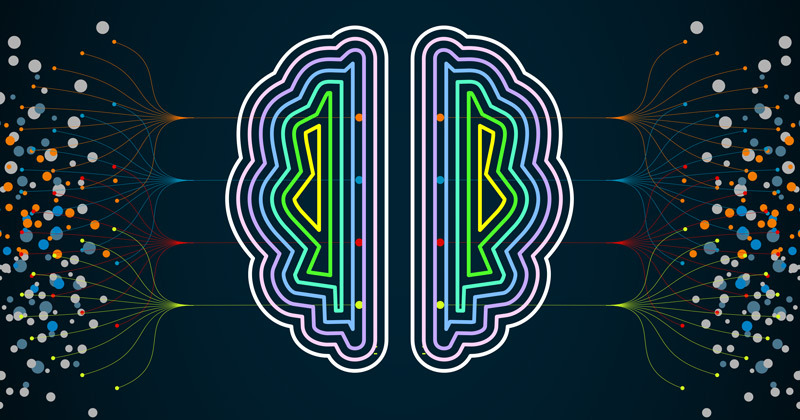 Lesbian, gay, bisexual and other non-heterosexual pupils were also substantially more likely to have a mental disorder than those with a heterosexual identity. White British pupils and those from lower-income households were also more likely to have a mental disorder. A Department for Education spokesperson said ministers were committed to “ensuring 70,000 more children a year have access to specialist mental health care by 2020-21.